Do I need to avoid gluten in my diet? Gluten is a type of protein that’s found in wheat, rye, barley and foods made from these grains. It gives elasticity to baked goods, which provides the chewy texture that we all know. Gluten in made of two smaller proteins, called gliadin and glutenin. Gliadins and glutenins are the two main components of the gluten fraction in wheat. Celiac disease is a disorder where gluten, the protein found in wheat and other cereals, damages the surface of the small intestine. Because of this effect, people with celiac disease must avoid products that contain gluten. The Canadian Celiac Association estimates that 1 in 133 Canadians are affected by celiac disease. The Whole Grain Council tells us that an additional 0.2% to 0.4% of the population may be allergic to wheat and, another 1-6% of the population may have non-celiac gluten sensitivity. The gluten-free diet is meant for people who have an allergy or intolerance to wheat or gluten, but it has become increasingly popular as a weight loss strategy. There is no scientific evidence to link wheat or gluten to weight loss. Weight problems are not the fault of one food (or in this case one specific protein found in some foods); it’s total diet and lifestyle that matter. People who do not have these symptoms or these medical conditions do not need to remove gluten from their diet. About 25 per cent of consumers report buying gluten free foods, many needlessly. Gluten-free foods are often more expensive, less healthy (more sugar, refined ingredients, fat and salt), and more processed than other staple foods. For more information about gluten in your diet, read Gluten: what does the science say? What are Ontario grain farmers doing to protect pollinators? In 2015, new regulations restricting the sale and use of neonicotinoids, a specific type of pesticide widely used by farmers around the world, were passed by the Ontario government. Anti-neonicotinoid (or “neonic”) activists cited unproven claims that the pesticides were contributing to the decline of bees in the province. It is unlikely that bee numbers are even in decline (Statistics Canada reports that honeybee numbers in Ontario are up by almost 60 per cent since 2003), and to date there is no data to support the assertion that there is a correlation between bee mortality and neonics. In Ontario, there are numerous risks to bee health, including varroa mites, lack of forage and nutrition, exposure to spray pesticides, climate, and diseases. Farmers care a great deal about bees and recognize the importance of bees to the overall viability of farming and the food chain. That’s why grain farmers have been actively working to enhance bee protection, by collaborating with stakeholders like beekeepers and value-chain partners, to ensure a sustainable future for both bees and crops. Farmers are stewards of the environment, taking care of the ecosystem the best they can, in order to grow healthy, productive crops to feed and fuel the province. Farmers are doing many things to help bees. In 2014, a new fluency agent was introduced for use in planting equipment. Over 90% of farmers used the new agent, which helps to keep the pesticide coating on the seeds – preventing the risk of dust that bees could be exposed to. In addition, many farmers added dust deflector systems to their planters to further ensure no dust enters the air. The grain industry has also taken action by improving seed bag labels and collecting empty treated seed bags for safe disposal. You can learn more about bee health in Ontario at www.beesmatter.ca or on Grain Farmers of Ontario’s Protecting Pollinators page. Do Ontario grain farmers spray crops with roundup products to manage weeds and insects, and as a dessicant to dry crops after they have ripened? Farmers across Ontario make many crop management choices throughout the season. Ontario has a very diverse environment, so different regions of the province have different weather, soil, insect, disease, and weed pressures. 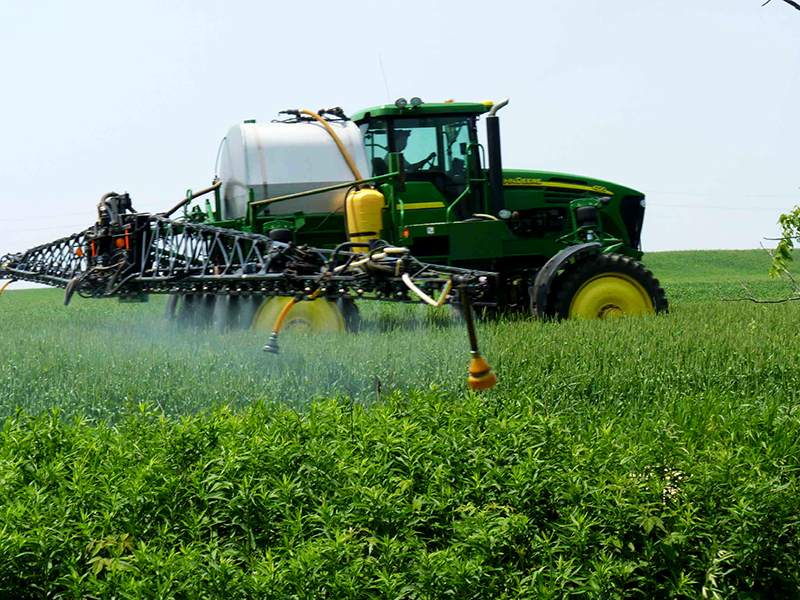 There are a variety of pesticides available for managing these issues – roundup is an example of one of these products. Desiccating is a practice used to dry crops like canola, cereals, and soybeans. This is not a common practice in Ontario, but can be helpful in certain crop conditions – for instance, a wet harvest season or very late crop. Desiccants are applied according to defined timelines (days or weeks depending on the crop) prior to harvest. In order to use any pesticide, Ontario farmers must complete pesticide training and be certified to use the products. Do Ontario grain farmers grow GMOs? 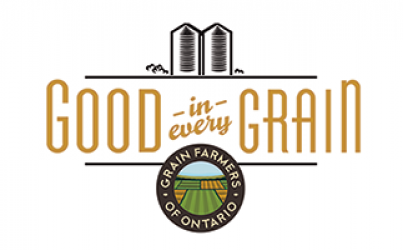 Yes, Ontario grain farmers grow genetically modified (GM) soy and corn. However, they also grow conventional soy and corn. There is no such thing as genetically modified barley, oats, or wheat. GM crops have been cultivated for more than two decades, and food produced from them has been eaten and enjoyed by billions of people worldwide with no harm to humans. GM crops help farmers fight plant pests and diseases, grow their crops with less water, and minimize inputs like fertilizer and spray herbicides. GM crops do not cause allergies, cancer, infertility, ADHD, autism, or any other diseases or conditions. Health Canada and the Canadian Food Inspection Agency have declared that GM crops are as safe as non-GM crops. They are not alone in this view. Regulatory agencies around the world, as well as highly regarded international organizations like the World Health Organization, have all endorsed the safety of these crops. A GM crop can take up to 13 years of research and rigorous testing and cost close to $150 million before it is brought to market. In May 2016, the United States National Academy of Sciences released its report, Genetically Engineered Crops: Experiences and Prospects, a holistic analysis of “the purported positive and adverse effects of [GM] crops”. The committee members responsible for the report evaluated 1,000 scientific articles, received input from scientists, industry, and environmental group, and took comments from the public throughout the process; after two years of research, the report concluded that GM crops are as safe as conventional crops. You can read the report here. The decision to grow GM or conventional crops is one made by the individual farmer – they are not forced to grow any kind of seed by big companies. They choose their seed based on what they know grows best on their land, in their local climate, and according to consumer demand. 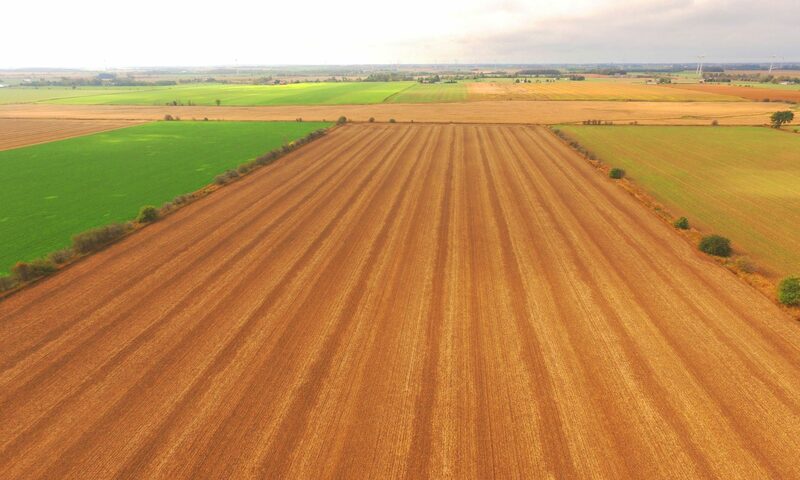 Not all Ontario grain farmers grow GM corn and soy; for example, if their soil quality allows it (and a variety of other factors), farmers can grow “Identity Preserved” non-GM soybeans that command a significant premium on the market.